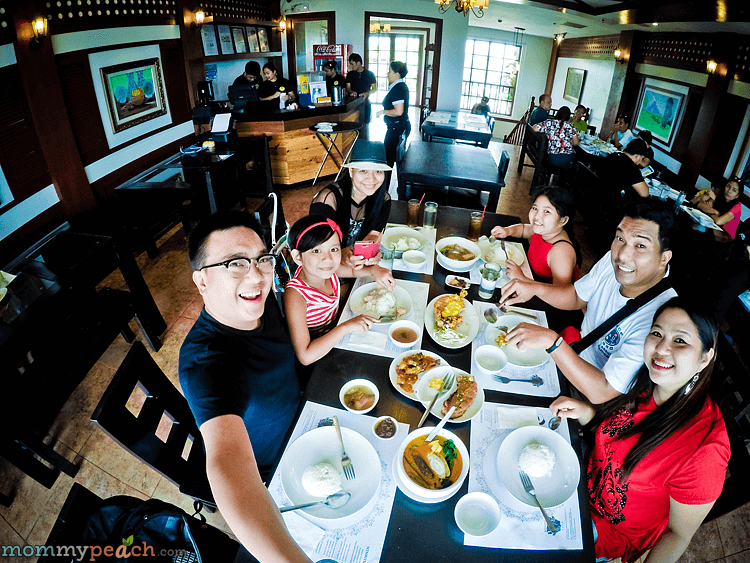 We spotted Bagoong Club in Twin Lakes when we had breakfast at Buon Giorno the day before on the way to Canyon Cove. Bagoong (or shrimp paste) is my ultimate comfort food and it could make me give up a no-rice diet in a snap. 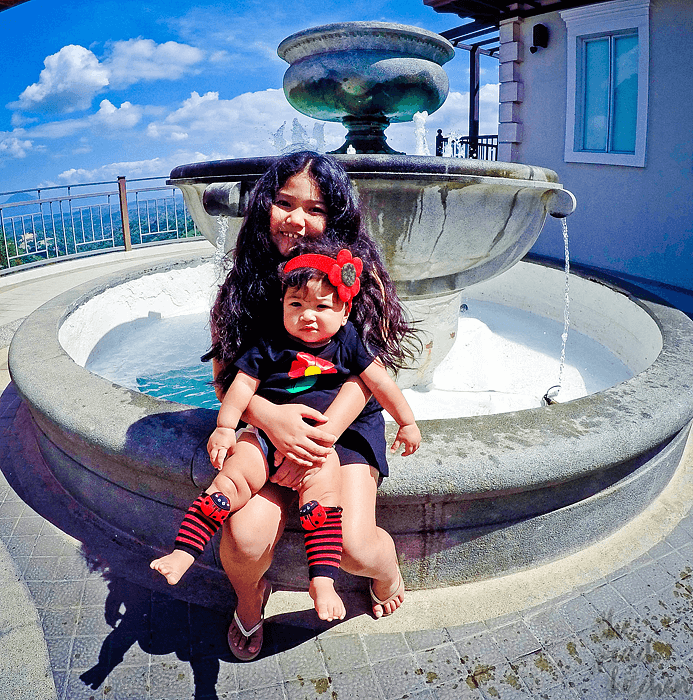 I actually made a mental note to myself to eat here at one point in our three day vacation and that we did just before we checked in at Canyon Woods. 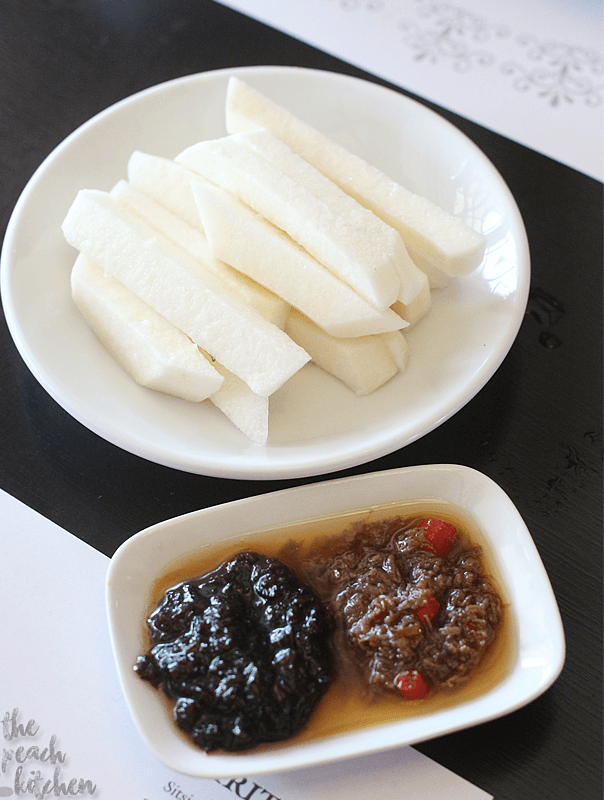 Just before our orders were served, we were given a small plate of singkamas (jicama) slices with two kinds of bagoong as dip: their Bagoong Pag-Ibig (sweet) at Bagoong Umaga (spicy). I like my bagoong to be on the sweet side but combining these two bagoongs together made a sweet and spicy bagoong that’s just perfect for dipping. 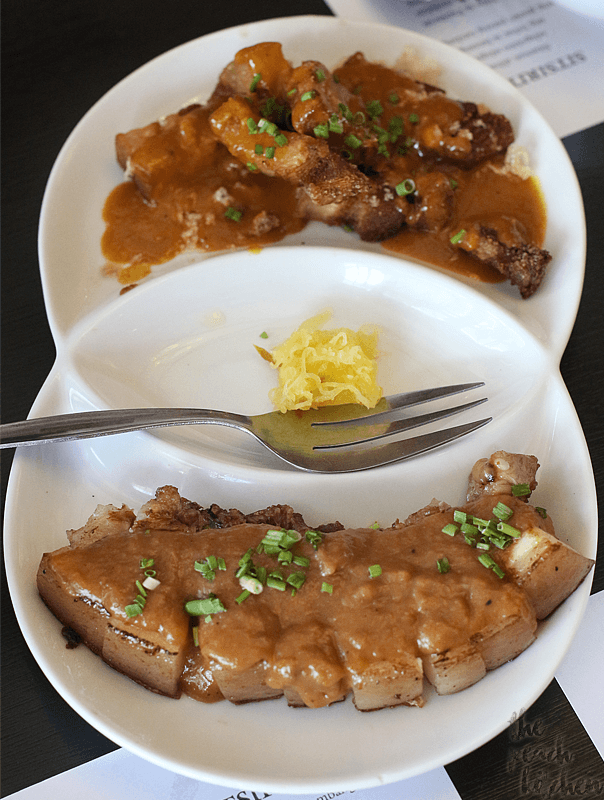 And because we are at Bagoong Club, we ordered their Binagoongan Combination (₱350), a combination of crispy binagoongan and grilled pork binagoongan It was so perfect over rice! The grilled pork binagoongan is a bit fatty so we had to cut off most of the fat near the skin but the sauce is really good, tasting a bit of coconut cream. 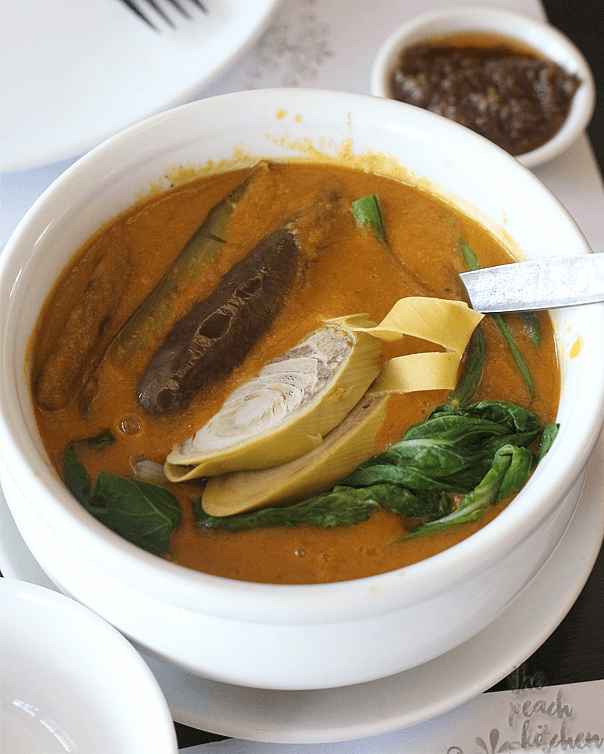 their Kare-Kare pot where all the meat was cooked from because it was so flavorful. I ordered this Ensaladang Cilantro sa Ginulat na Tilapia (₱320) just because I found the name of the dish to be both interesting and amusing. I imagined how shocked the tilapia was…LOL!. 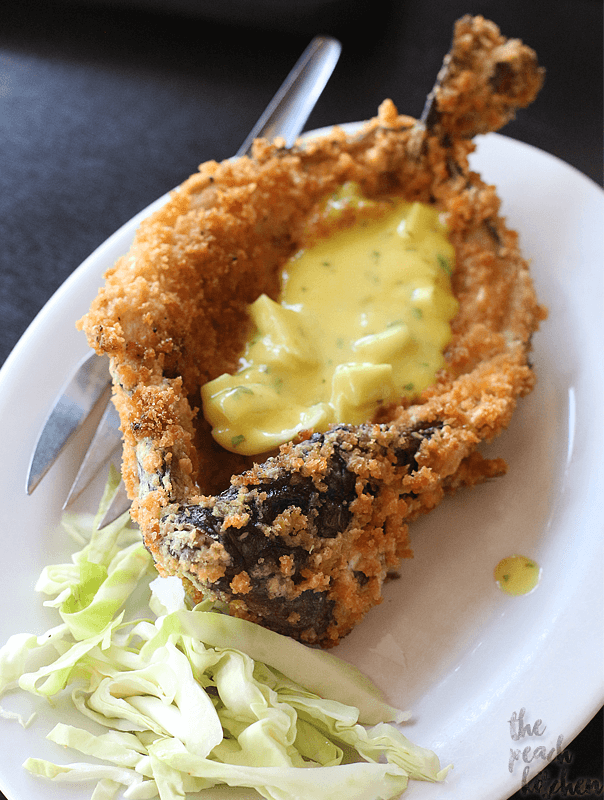 Turns out this was deep fried binukadkad na tilapia, with a mango-cilantro sauce and julienned cabbage. 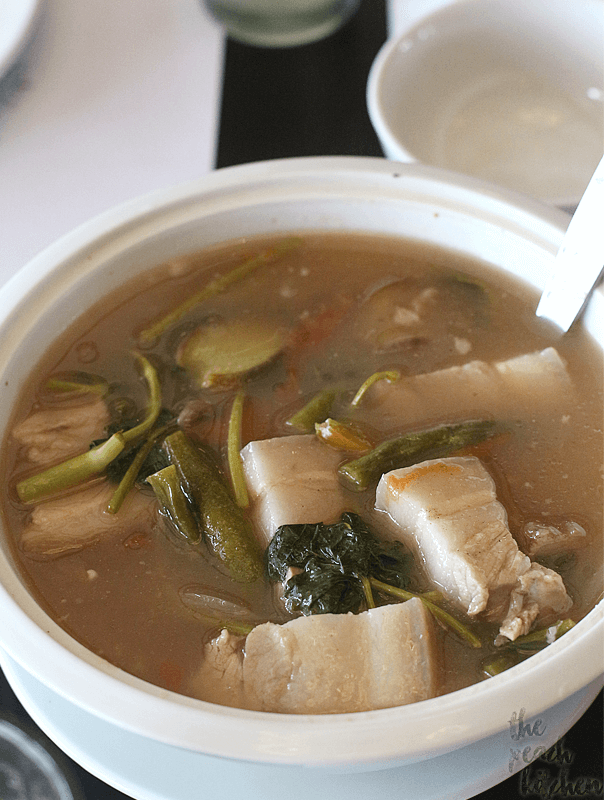 We couldn’t do without Sinigang na Baboy na Pinalapot sa Gabi (₱320) because it’s Ykaie’s favorite! 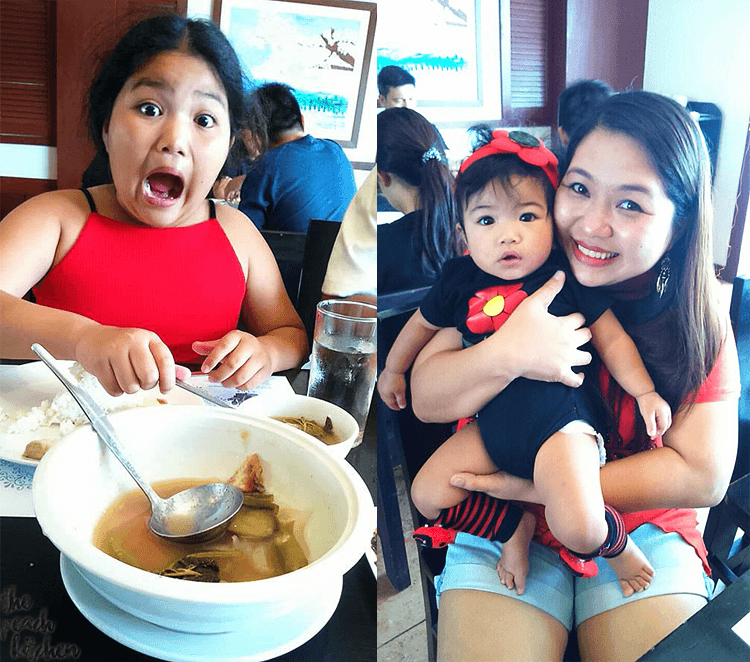 Check out our almost empty bowl of Sinigang right there. 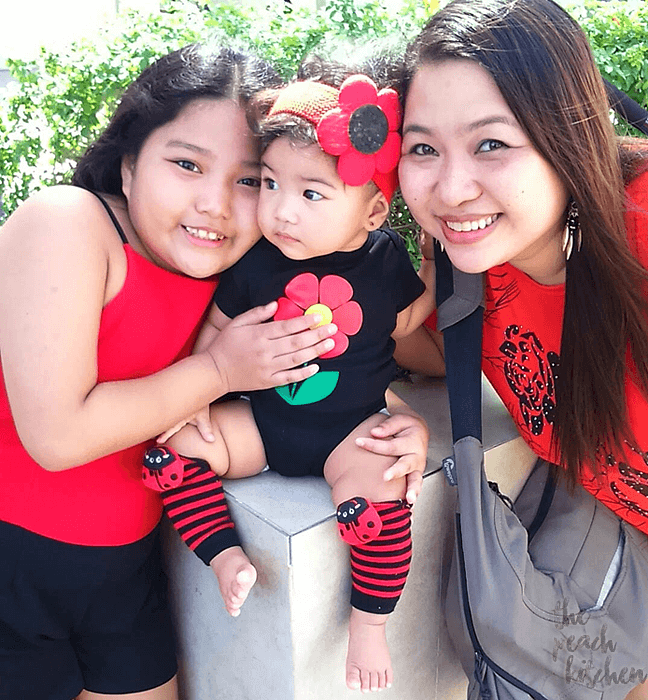 I l♥ve l♥ve l♥ve this photo of me with Ykaie and Twinkle…. After lunch was picture-taking galore!.. and Frappuccinos at the nearby Starbucks…then we were off to Canyon Woods. Your kids are adorable. I’d love to try the jicama and dips – looks tasty. All of the food looks yummy. The food all looks so good. It sounds like a great place to have a meal with family. The food all looks so delicious. I’ve never really tried making any Asian foods at home before, but I love going to the restaurants! I have not had a lot of exposure to Filipino food even though my sister in law is from the Phillipines! She’s introduced me to some that I did NOT like, but others were really good. I’m up for trying most foods, and this looks really good. I’ve never heard of these meals. But as I’m not familiar with Filipino meals, it’s not surprising. I like a sweet spicy flavor as well, so mixing those dips would be right up my alley! Thanks for sharing! Yummmm! This sounds so delicious, it looks like you guys had a great and super flavorful meal! Since I won’t be fixing this area anytime soon it is nice to see your photos and what you are enjoying. I am not a peanut curry fan so as long as the dishes aren’t based on any of those ingredients I am good to go. These photos look so good. I’ve not very adventurous when it comes to food, but this I bet i would enjoy. Sounds like an interesting meal! I haven’t had those foods before. And while I’ve had jicama, I’ve never ordered jicama sticks with dip! Thanks for sharing, interesting to read about different foods. The food looks very interesting! I’d love to be a taste tester and try out these dishes. What a fun experience. The food looks amazing. It is definitely making me hungry at this point. What was your particular favorite dish? The food looks so good! I love pork, grilled or deep fried and crispy. I am interested to try that shrimp paste. I’ve seen bottled ones in the Asian goods aisle at our local store. I should remember to get some when I do my grocery shopping. The Bagoong Club sounds like an awesome place to have lunch. I have never heard of more than half these foods but they look delicious. We would love to try lunch here some day when we go see my sister who lives in the area. Thanks for sharing your experiences and the lovely photos. Wow, the food looks so amazing here- especially the soup! Your girls certainly seemed to enjoy it – they are so cute! I’ve never heard of this before! The food or the place. It all sounds and looks perfect! It all looks amazing! Your photos are great, especially that last one! your kids are adorable! Cute photos and would love to try those foods! Look tasty! Looks like a really great time and food. I would love to try these dishes.